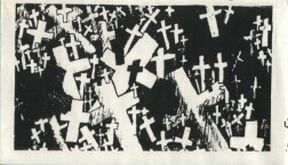 This tape was made available to the public and was sold at shows, and via the classifieds in fanzines like MRR. 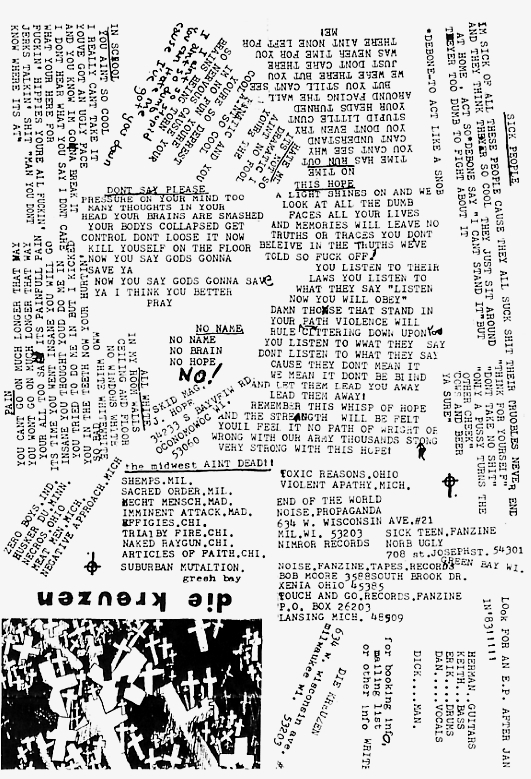 The xeroxed cover folds out into a lyric and info sheet. This tape did not circulate to any great extent within trading circles until well after the 1980's. It was used by the band as a promotional tool to get more gig bookings. The five "studio" tracks are rough and ready recordings, the origins of which have been lost in the mists of time, for the band themselves as well as the rest of us... 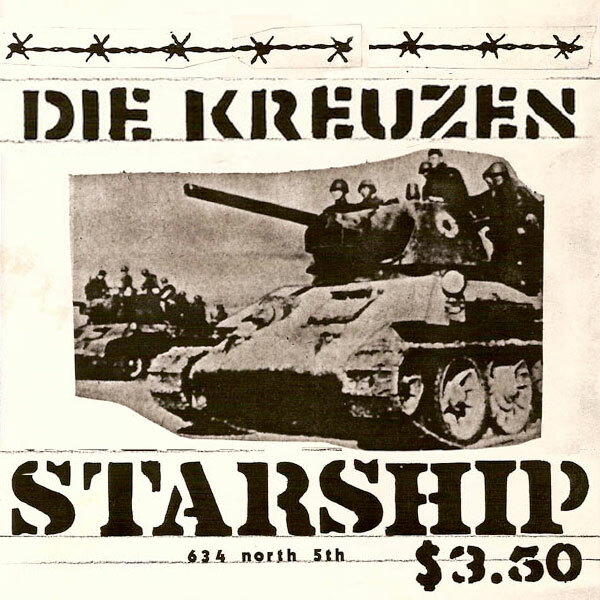 The live tracks are said to have been recorded at the Starship in Milwaukee, and as such are almost certainly taken from the soundboard. The tracks were bootlegged by Disco Trend on the "Demolition 2" compilation LP. Feel free to insert multiple copies into those guys' rear-ends, horizontally, should the opportunity arise.